Milk Chocolate Foiled Violets. Chocolate Store, the online candy store with chocolate and candy. Violets - Milk Chocolate Foiled Violets. Perfect violet flowers on pastel foil. 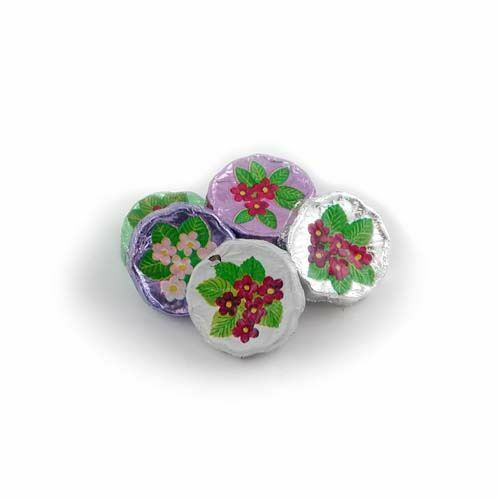 Great in a candy dish or a wedding favor. They are almost as pretty as the real thing. About 1- 1/2" in diameter. Approximately 55 pieces in a pound.